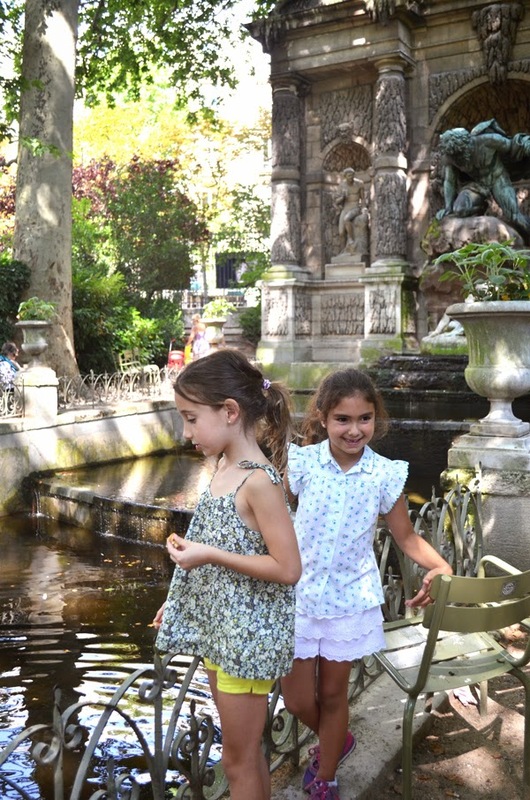 My friend and I took our daughters to Paris for the first time just a week ago. It was so exciting! Beginning with the anticipation and planning of the trip and ending with the wonderful memories of having introduced my daughter to one of the most amazing cities in the world. 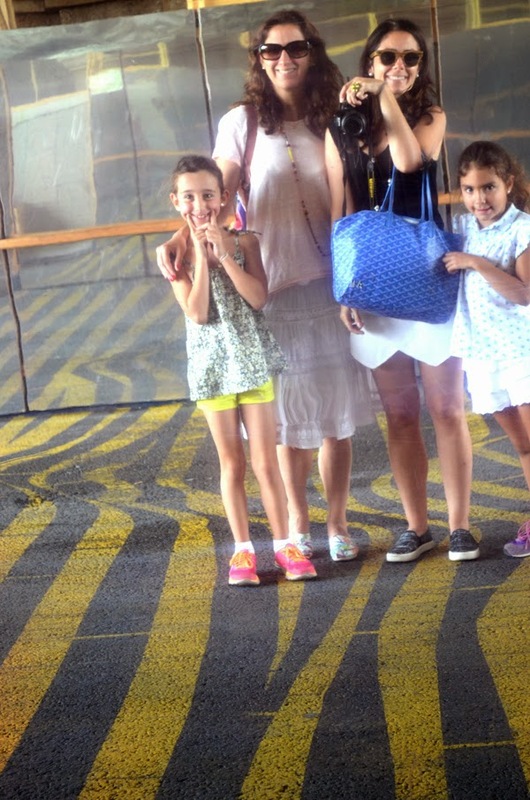 The girls absolutely loved it and I, seeing everything though their eyes, fell in love with the city all over again. It really was a magical trip. A perfect mother-daughter getaway. We were in Paris for three days and four nights and were able to fit all this in. Keep in mind that our girls are seven (or almost seven!) so we had to adjust the trip accordingly. 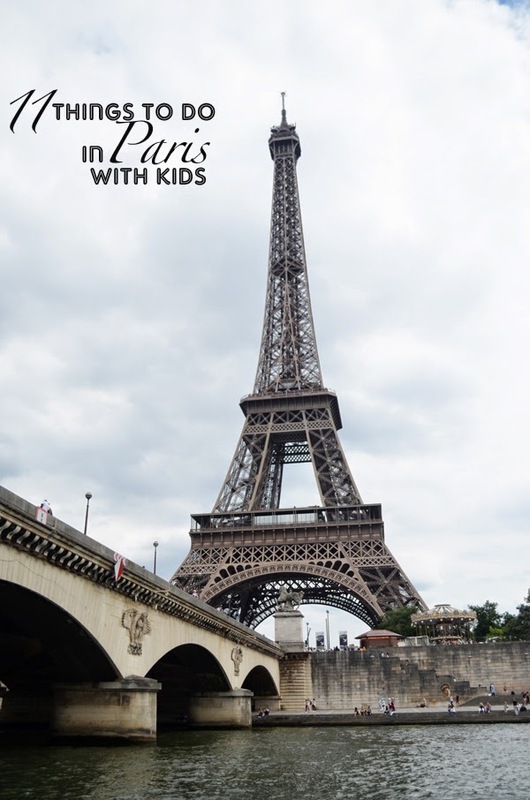 Here, I highlight what I think are eleven wonderful and easy things to do in Paris with kids. 1 || Bateaux Mouches. Taking a tour in one of these river boats is an ideal way to get a sense for the city and enjoy all the sites from a different perspective- that of the river. The girls loved it and since there was no walking they were happy campers. We used this company but there are many other along the Seine that are probably equally as good. 2 || Double Decker Bus Tour. This is another great way to see the city and the major sites in a fun way. The girls loved seeing the beautiful architecture from the second level of the bus. 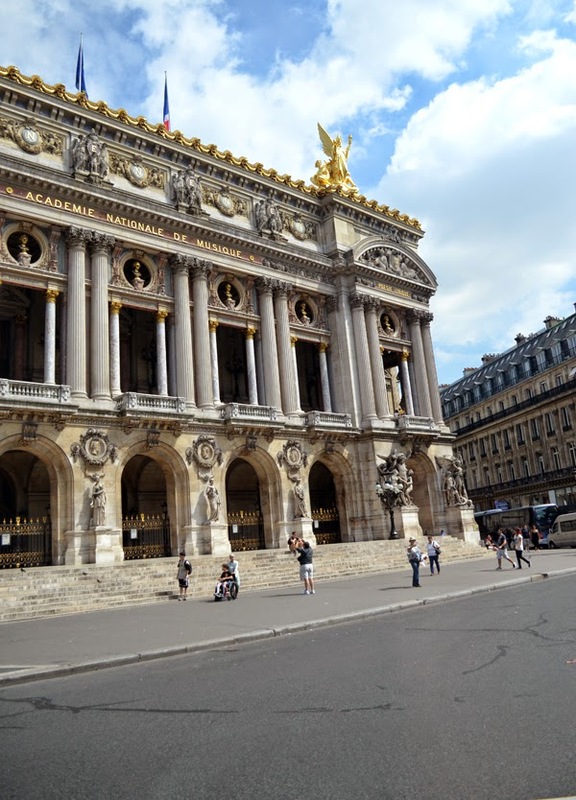 How fun to see learn about the Opera house and its fabulous but murderous crystal chandelier with Parisian wind rushing through your hair and seeing everything from a higher perspective. We used this company which was great and you can hop on and off at different points. 3 || Walking along the Seine River. The banks of the Seine river are really exciting. They have fun restaurants and bars, structures with mirrors, random huts and tepees you can reserve to have picnics in, games and even labyrinths drawn on the floor. We found this to be a great way to walk a long distance with the kids as they were constantly entertained and would forget to complain about achy feet or ask- "how much longer?" 4 || Notre-Dame and the Sainte Chapelle. I thought this was a quick and easy way to introduce the kids to some Gothic architecture and show them the setting for Victor Hugo's story. The line into Notre-Dame moved fairly quickly (less than 10 min) and with its dark and cooler interiors it was a welcome change from the hot sunny day. The girls loved the stained glass windows. We then walked accross the way to marble at the Sainte Chapelle's stained glass windows as well, which just blew all of us away. The girls were really mesmerized at all the color and detail. Next time I go to Paris I would love to attend a concerto inside. It would be an amazing experience. 5 || Jardin des Tuileries. I love how Europe has parks and gardens everywhere. They really help when traveling with kids. A little stop at one of these parks and the kids can recharge and be kids for a while. 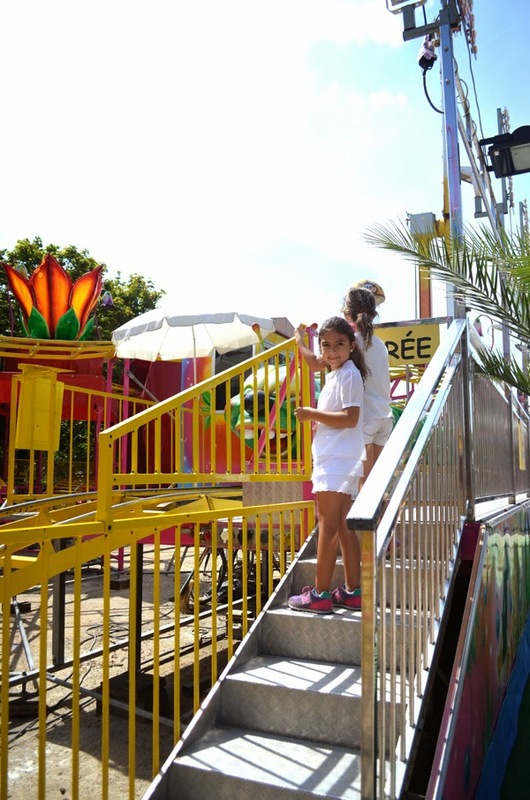 In the summer the Tuileries usually have some kind of fair with tons of rides. 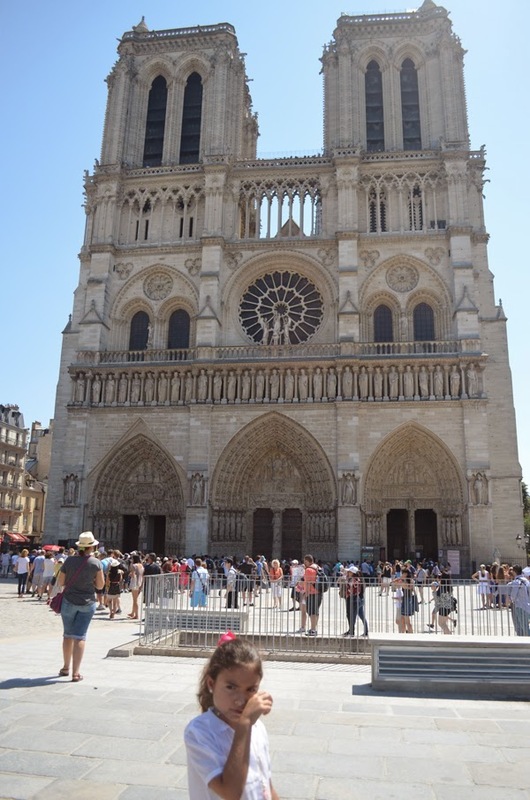 For us, it was the perfect resting spot after having visited Notre-Dame and the Saint Chapelle. Rides= the perfect compromise. 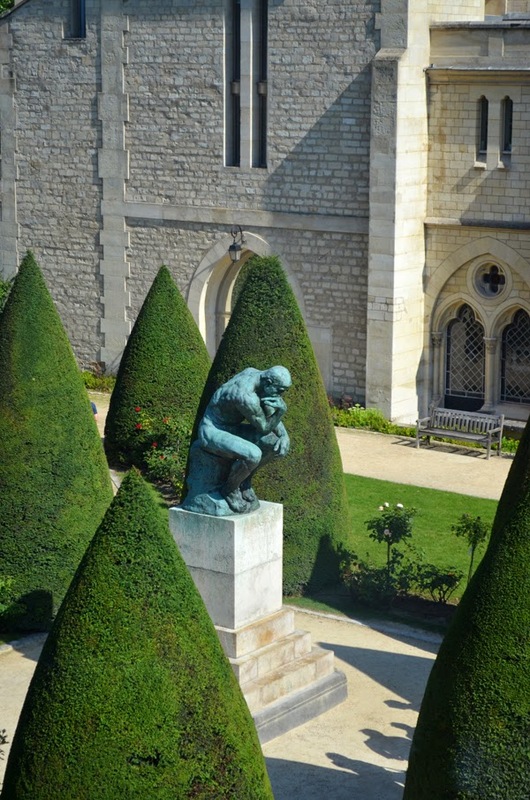 6 || Rodin Museum. I adore this museum. It is small (which is perfect for little ones), beautiful and offers the perfect mix of indoor treasures and outdoor beauty. 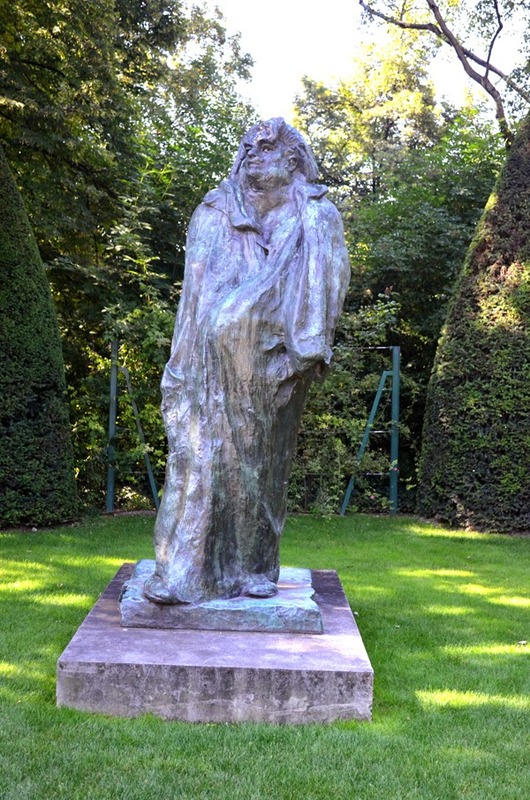 The girls loved seeing his works inside and then loved running around in the gardens and learning about The Thinker and Balzac. 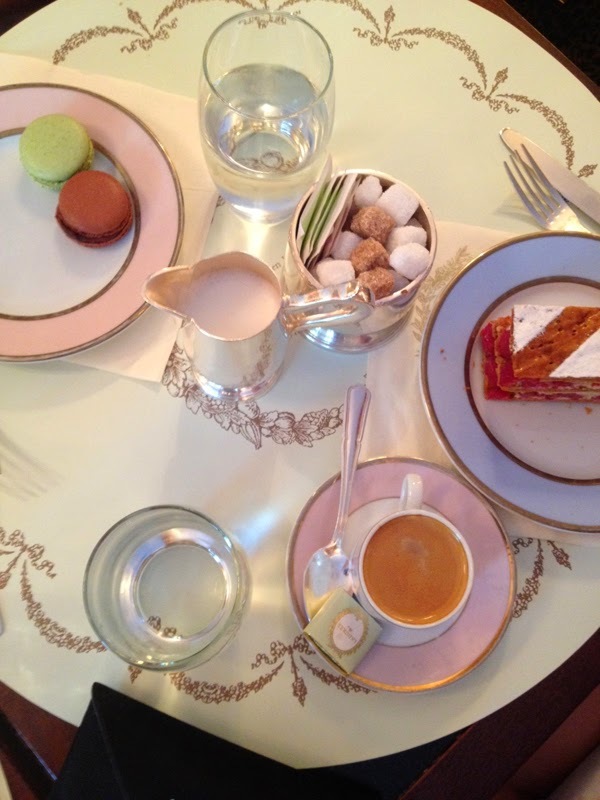 7 || Tea at La Duree. There are several of these in Paris but we went to the one in Rue Royal so we could stroll a bit down Rue St. Honore to window-shop. 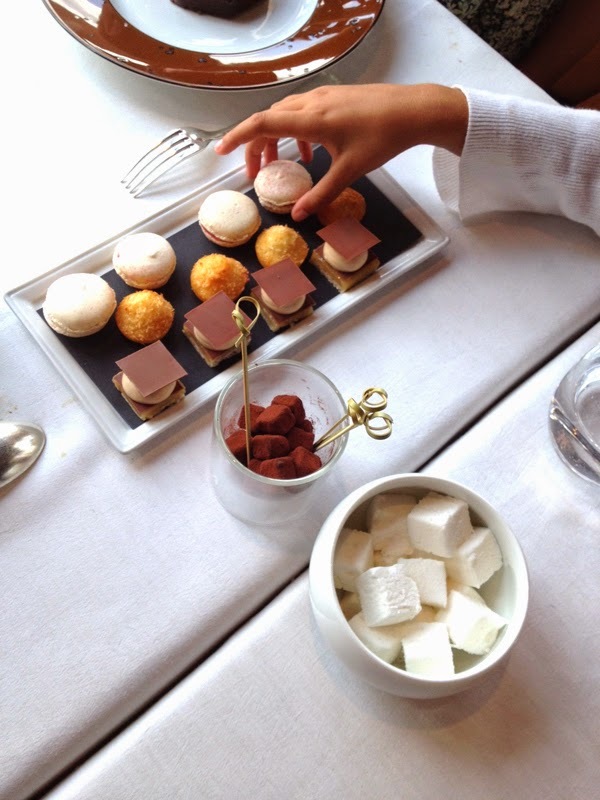 We ordered some mille-feuille, macaroons and rose petal ice cream, which truly tasted like roses. It was divine. The girls loved the treat. 8 || Lunch at the Eiffel Tower. This was one of the most exciting things we did. It was a splurge but, in my opinion, so worth it. For the girls the Eiffel tower was the main attraction in Paris, which is expected at their age, so we wanted to make this visit extra special. 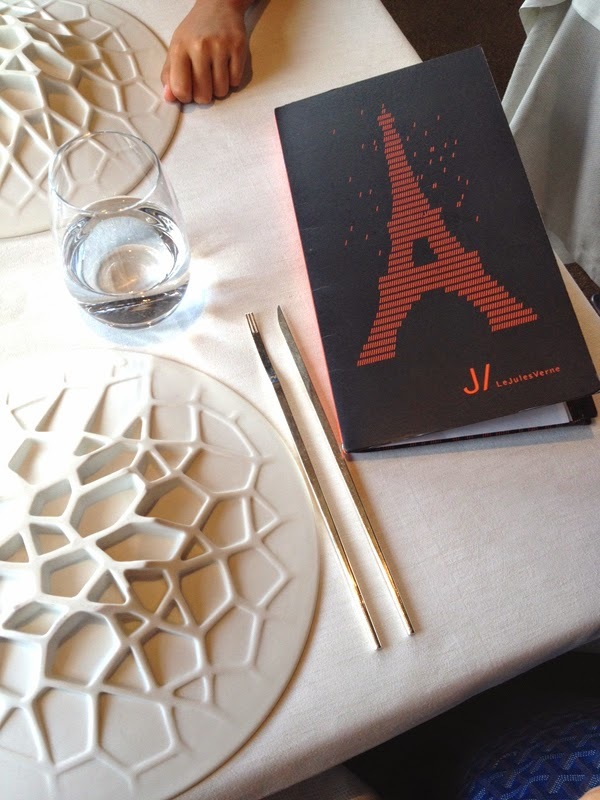 We made reservations at Jules Verne, one of Alain Ducasse's restaurants. I can't rave enough about this experience and how brilliant it was. The restaurant is located in the middle section of the tower and you can take a private elevator up to it forgoing the long tourist lines. The view is just spectacular from up there, and the food was divine and the service was amazing. You may be thinking- but what did the girls eat? They obviously don't have a children's menu but our girls loved the food. After the meal they let you go down a flight of stairs to the sightseeing deck, which was fun, and then before leaving, they gave us some madeleines (which were so useful in the next adventure!- read-on!) 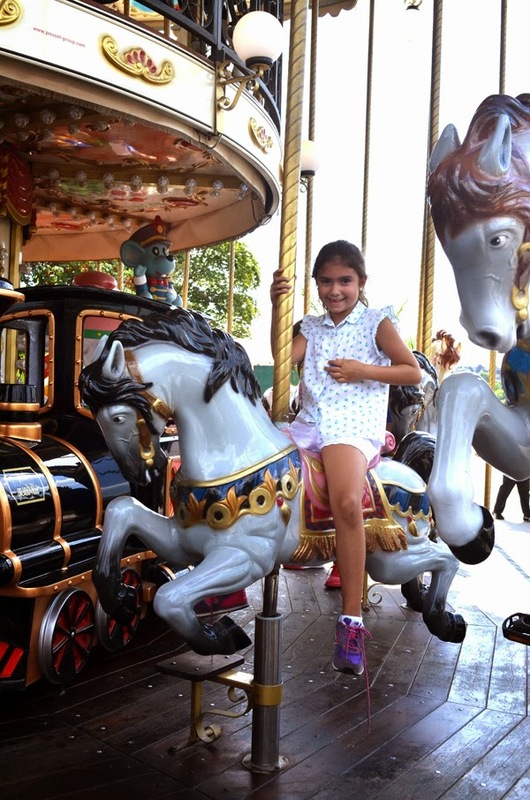 Then the girls took a turn at the carousel at the bottom of the tower, which is a classic. If this kind of a splurge is not within budget you can always have a fun picnic in the gardens surrounding the Eiffel tower. The backdrop is priceless. 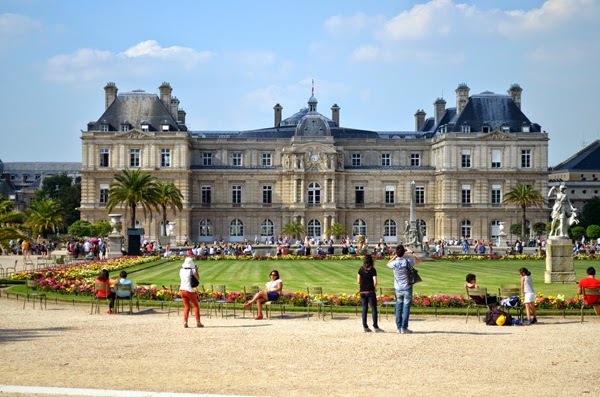 9 || Jardin du Luxembourg. This is one of my most favorite spots. It is so beautiful and peaceful here and it is packed with fun things to do with the kids. The girls fed the ducks with the (you guessed it!) madeleines we received upon our departure from the Jules Verne restaurant. Never had those ducks eaten something so exquisite! The pigeons also benefited from this feast. At the gardens, they also have boats you can rent to sail in the fountain and they even have pony rides (for kids who weigh less than 35 kilos). The ponies were precious. We rested in the shade for a while, the girls played little red riding hood and hopscotch with a grid they marked on the dirt with a stick. It was good old fashion fun. This was a magical afternoon. 10 || Shopping. Instead of getting a ton of touristy souvenirs when I visit places I prefer to buy one fun and beautiful thing that will forever remind me of the special trip. 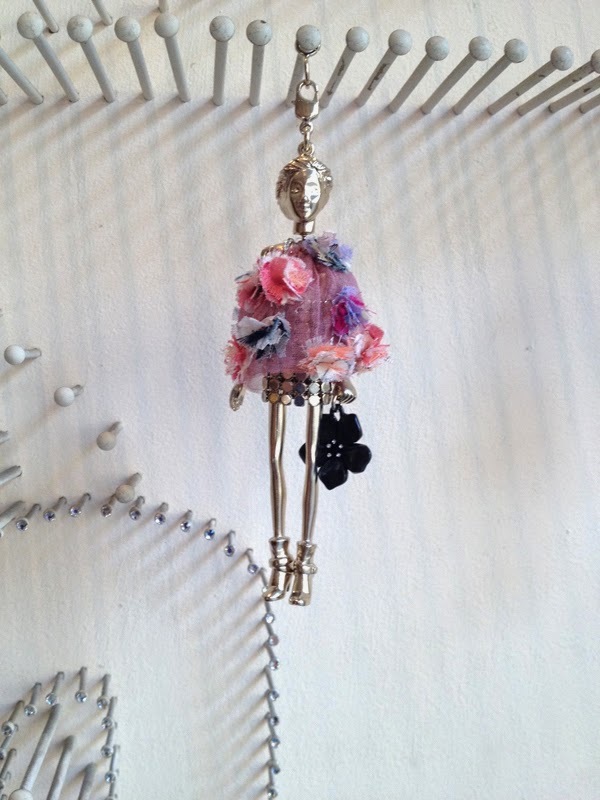 For us, this special little acquisition would be a Servanne Gaxote doll necklace. My friend introduced them to us a year ago and now we have all become obsessed. I wanted one and I thought it would be a beautiful souvenir for my daughter to have as well. This little shop was filled with the cutest little doll necklaces dressed in the most sophisticated outfits. They are so inventive and original. The girls had so much fun trying to decide which one to pick. And the cherry on top? 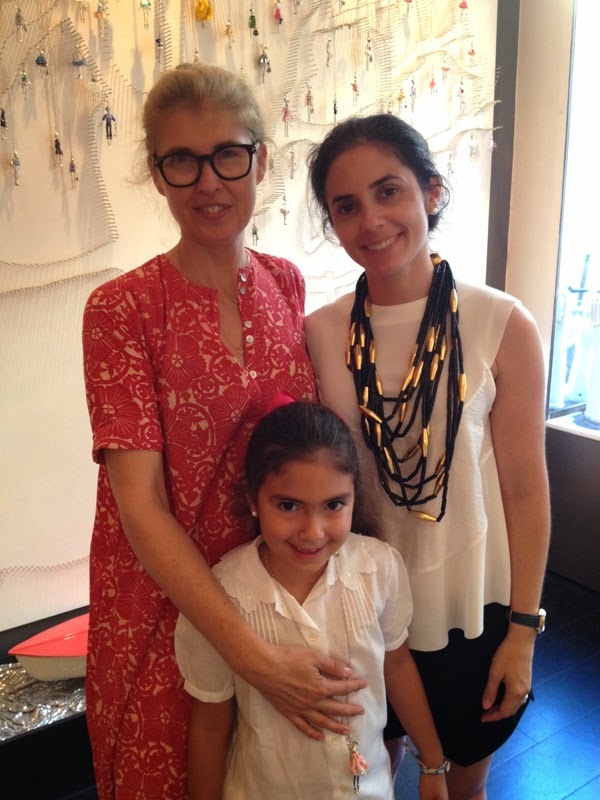 We got to meet the designer! 11 || Photo Session. I'm always the one behind the lens and rarely have a photo of myself with my daughter. I had the idea to find a local photographer to capture a few moments between my daughter and I that we could have as a keepsake for years to come. We were very happy with our photographer, Katie, who was a cute New York girl who moved to Paris (for love (like in the movies!). I promise to share her photos at a later post. The girls loved posing and being cute for the camera. My daughter kept telling Katie she wanted to be in the newspaper. I was so happy we did this. I finally have some cute photos with my baby! This photo below is from the session. 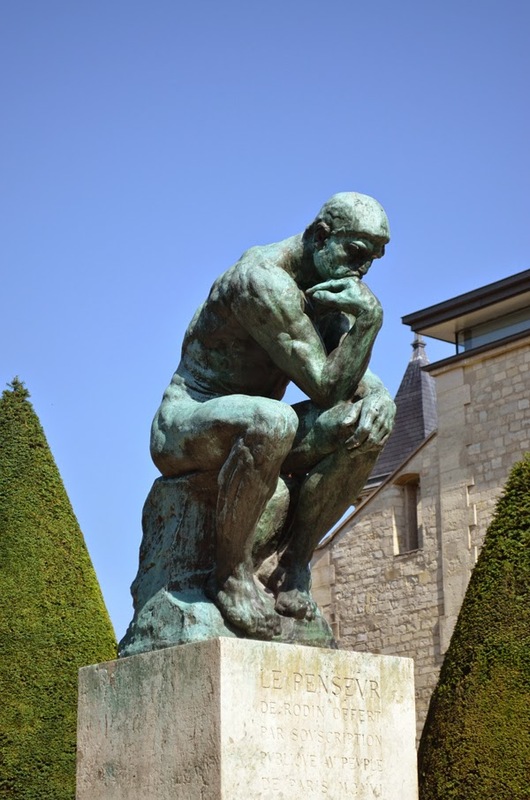 The Louvre, the D'Orsay museum, Sacre-Coeur....are just a few of the many things we left for our next trip to Paris when the Little Miss is a bit older. You always have to leave something to explore for the next time so you have a reason to go back, right?? And boy do we have many reasons!! || Paris is best enjoyed walking. Make sure kids have on comfortable shoes and your trip is during the summer you also have water with you at all times. || French bistros are a great option for kids when it comes to eating...they will always have some roast chicken or steak with french fries. || Plan, plan, plan- Your itinerary should concentrate on a specific area each day so you don't tire out the little ones walking from one extreme of the city to another. || Always leave something for next time. You can't do it all in a few days and you want the kids to get the essence of the country and its culture and leave in a happy note. If you try and cover too much they won't enjoy it. We didn't do the major museums this time around but are so excited to return in a few years to visit them. We are dying to see the Mona Lisa. So fabulous!! 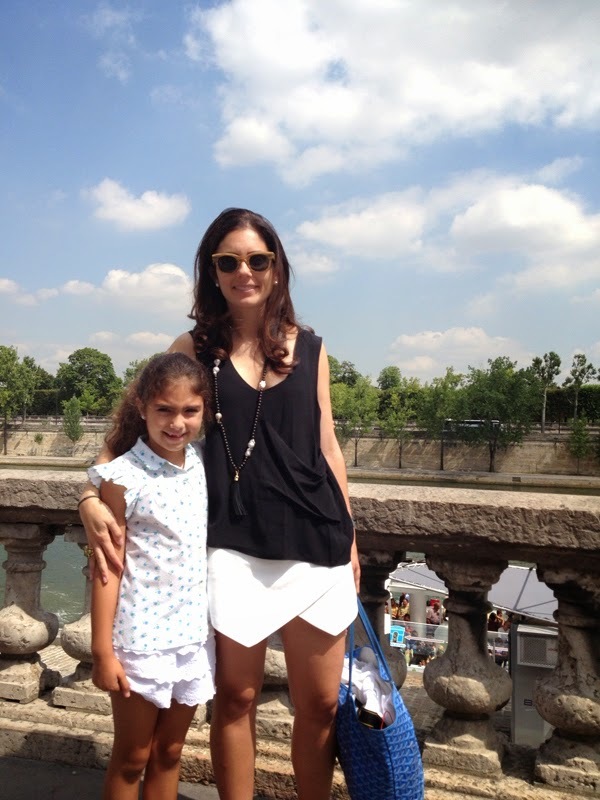 I am dying to take my kids to Europe and your trip is inspiring me. And taking photos with a local photographer? Brilliant!! What a fun girls trip! I am glad that it was sunny when you were there, the weather has been so rainy! I will keep all of your tips in my mind for the future:) As you know I simply adore Paris and loved seeing your photos! Oh, Albertina, I have been WAITING for this post!! What a special experience for you and your daughter! It looks like you nailed just the right things to do with younger girls and I absolutely LOVE that you hired a photographer. Thank you SO much for sharing this. I bookmarked it and will include in my round up post for next Friday. Such a lovely trip! I hope to take the kiddos there one day. 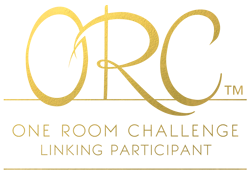 Looks like an amazing experience for all of you! Loved, loved, loved this post! What a memory you will have with your daughter and some beautiful photos to commemorate the trip. Genius idea of hiring Katie to photograph. I can't wait to be there! Although it will be just one day by myself I know it will be an incredible experience! And love that you hired a photographer to take photos of you and your little girl! Great idea! I am Dreaming!! 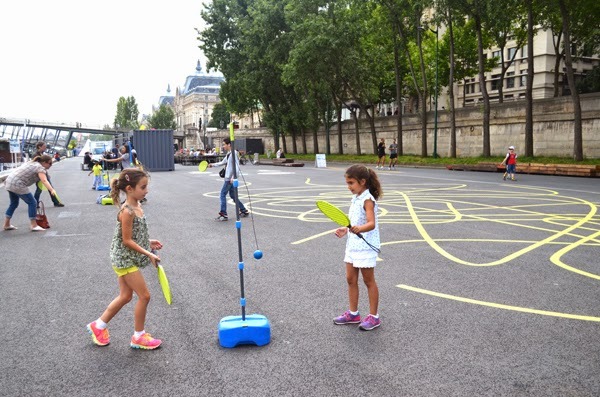 After reading your post I can't help but think about our trip to Paris with the kids 2 years ago. It is such a magical place! 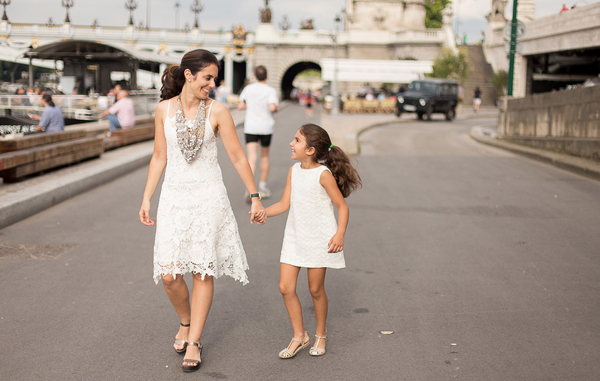 and your photos really capture the essence of enjoying Paris with kids. I am sure little AM will cherish this experience for years to come! The Mom Daughter pictures are gorgeous!!! How clever! The Doll necklaces are too cute!!! How incredibly special! Would love to do this with my daughter when she's older! Memories to be cherished for a lifetime. Oh this is just beautiful!! The hubs and I spent a couple days in Paris years ago, and it was one of the best experiences we've shared. Great idea re hiring a local photographer and that pic with your daughter is so darling!! How cute are you?! It looks like you had an amazing time. Brilliant idea to get a photographer while you were there. I'm sure you captured some frame-worthy shots that you will both cherish for a lifetime. 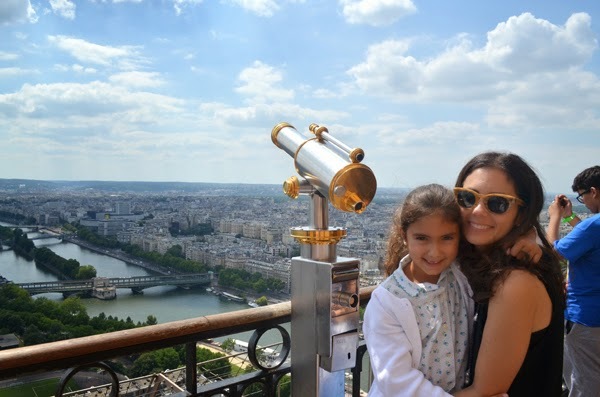 I love the last tip-- there is so much to see and do in Paris, you should never attempt to do it all at once. It’s very nice post. Thanks for sharing tips.. It’s such a very nice place. 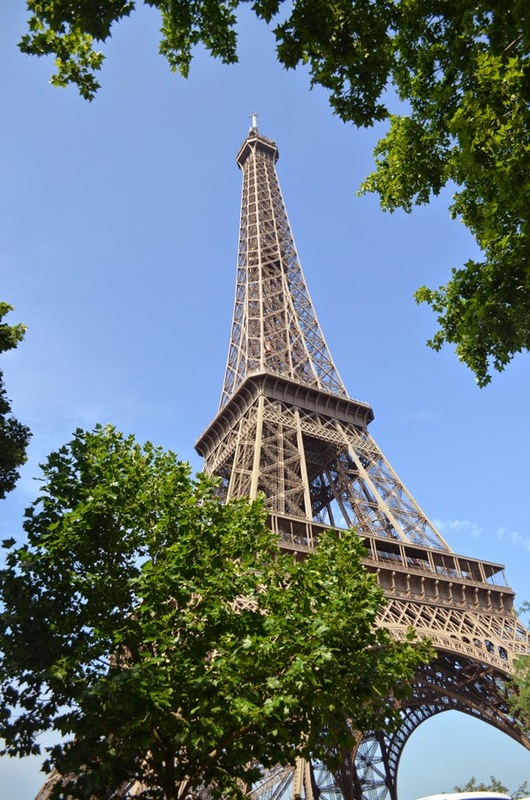 In next trip also visit the Montmartre - For something a little edgier head down hill to Pigalle, home to the famous Moulin Rouge and a great place to take in a cabaret show with dinner. Aside from the above major Paris tourist attractions also I suggest to see Festivals & Events in Paris like Off the Beaten Path, Nouveau Festival International de Danse de Paris, Festival d’Automne, Glad Stone Fest, Paris Burlesque Festival, MaMA Festival, Never Say Die Festival, Festival International des Jardins, FestiVal de Marne, All Saints’ Day – Toussaint, Festival d’Automne, The Brain Festival. Paris is the world fashion capital. It is famous for designer boutique. Head to Rue de Faubourg St Honoré for the top designer stores and a shopping experience amongst Europe’s rich and famous. Boulevard Haussmann offers the great Galeries Lafayette and the Champs Elysées is full of designer and high street stores. Also there are some famous markets such as the Saint Ouen Flea market. 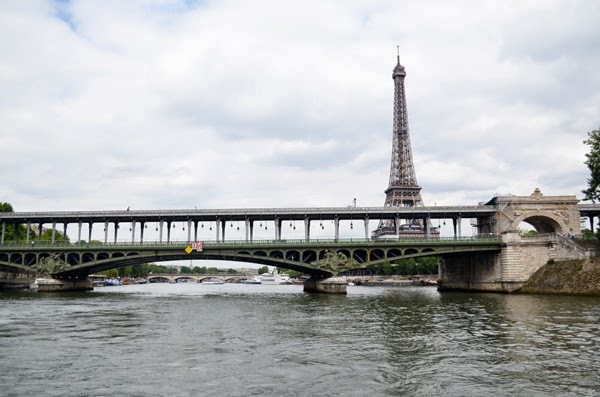 Here are some other Paris trip itinerary & information about Paris tourist attraction, hotels, restaurant, festivals & events, things to do etc. so its help to other for creating their plan. Such an amazing experience and trip! All the photos are gorgeous, but that last one is epic! You two look amazing and so glam, great idea on doing that!! BOOKMARKING THIS!!! planning to take Aston soon!! !